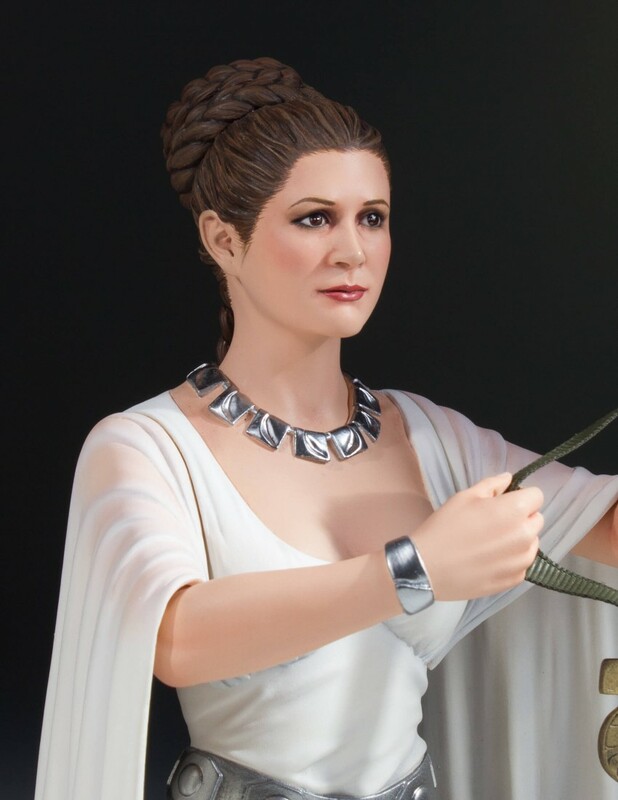 Gentle Giant has opened pre-orders for their new Star Wars: Episode IV – A New Hope – Princess Leia Hero of Yavin Mini Bust. 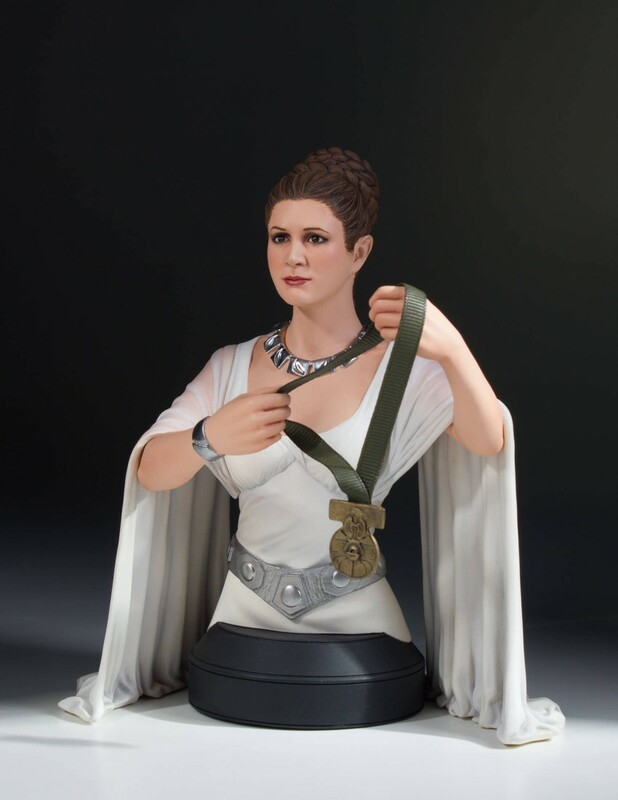 The 1/6 scale bust stands at 6.75″ tall, and features Leia holding a medal, from the ceremony at the end of A New Hope. 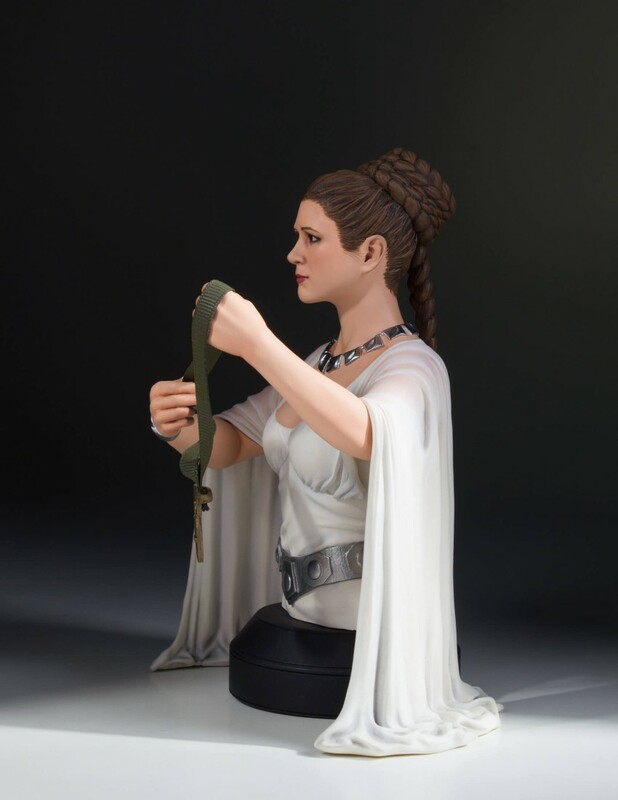 It’s priced at $100 with a release set for the third quarter of the year. 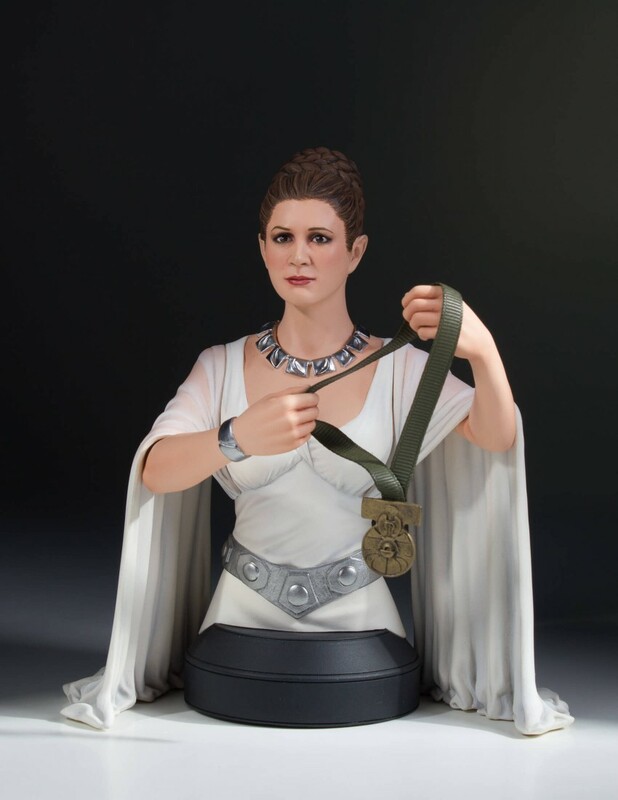 You can pre-order the new bust Here. 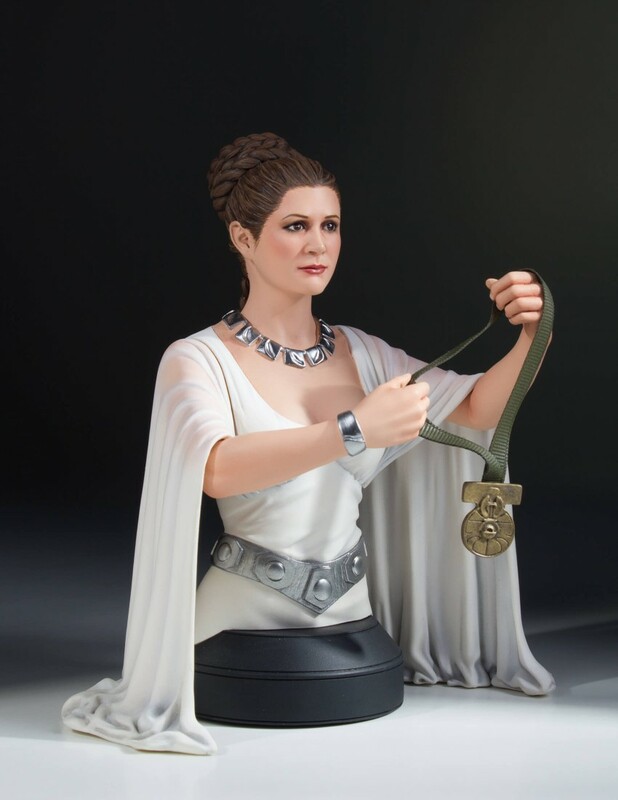 In the triumphant scene at the end of Star Wars: A New Hope, we see Princess Leia decorating Luke Skywalker and Han Solo with the Medal of Yavin, for their gallant effort that resulted in the destruction of the Imperial Death Star! Our previous releases include both Han Solo and Luke Skywalker. 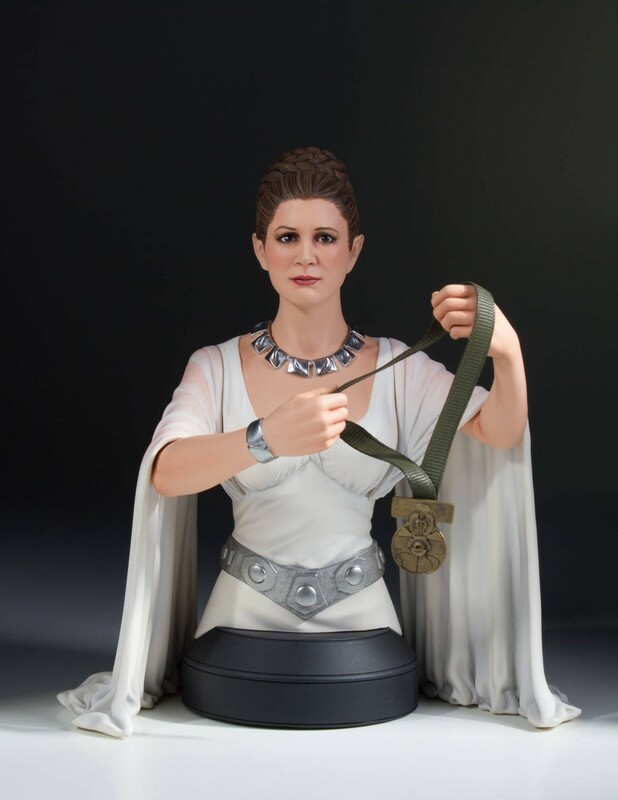 Now we complete the trilogy with the royal presenter herself, Princess Leia Organa of Alderan. 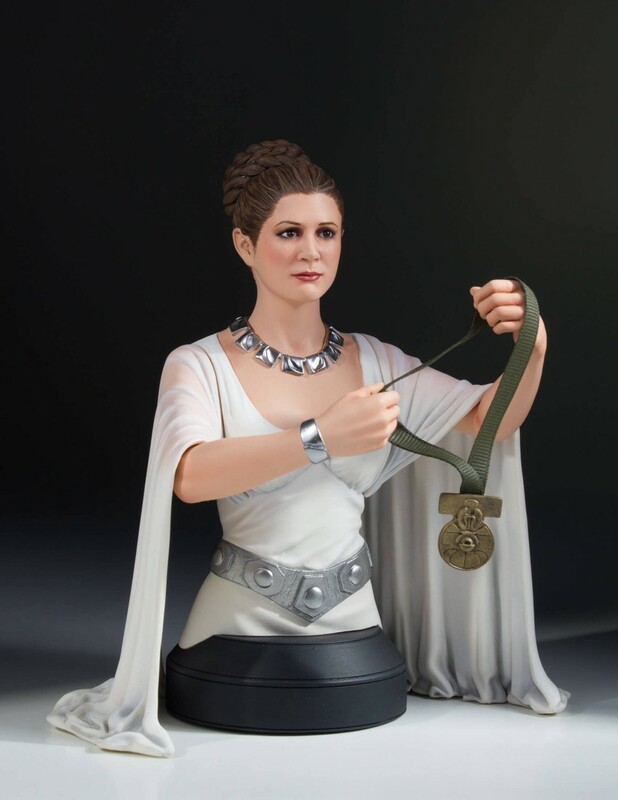 This amazing mini bust illustrates the pride that Leia shows at the end of the film as she knows the Death Star has been destroyed and no other planets will face the same fate as her home world. 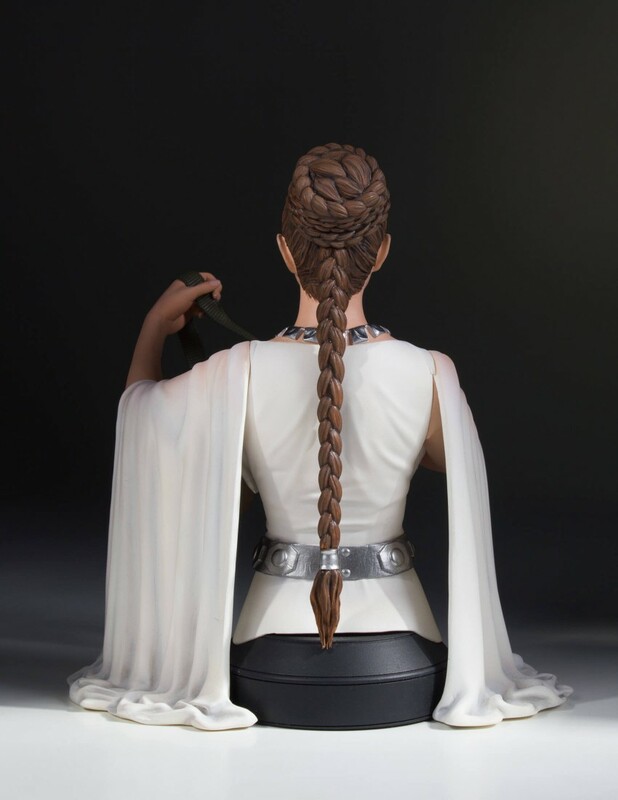 She stands proudly on the stage with her fellow heroes of the Rebellion. 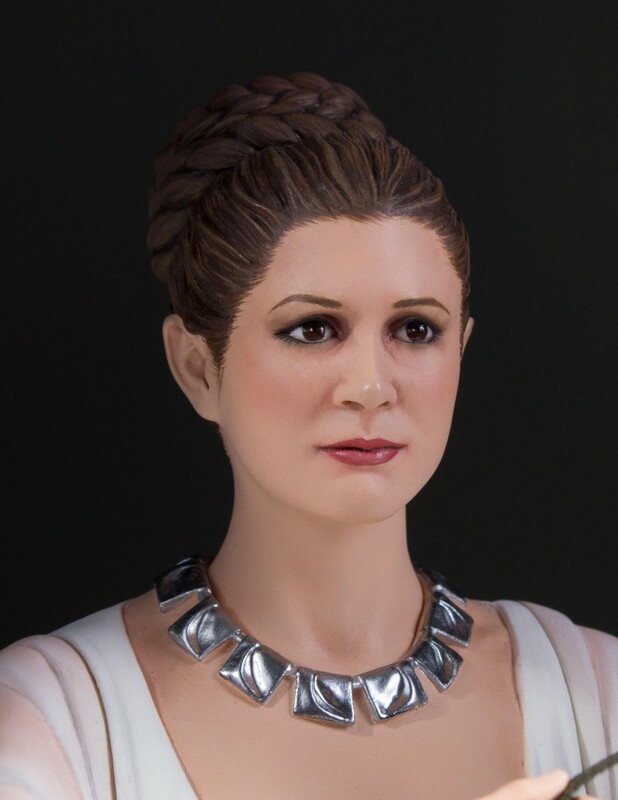 This mini bust was digitally sculpted by our master artisans, using actual archival footage and designs. 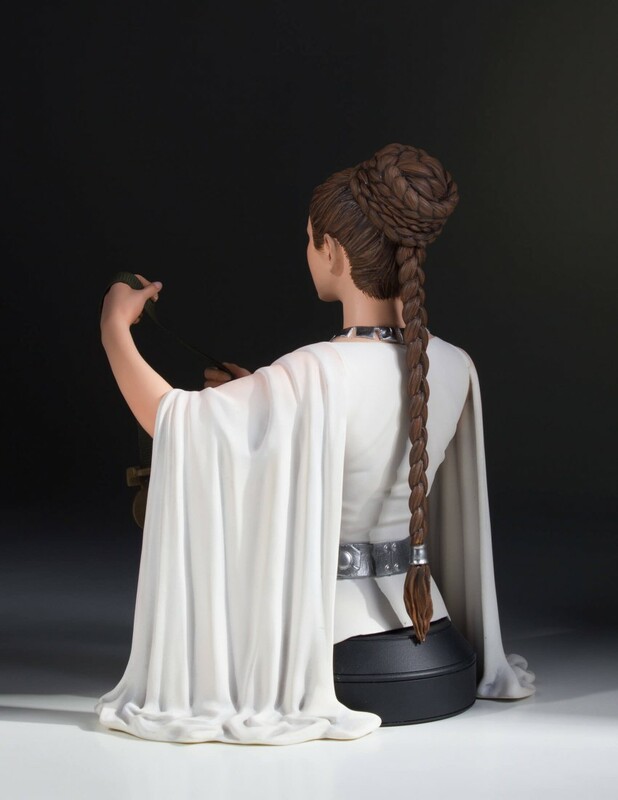 Each bust is rendered using the highest quality polystone, and is hand painted to exacting detail. 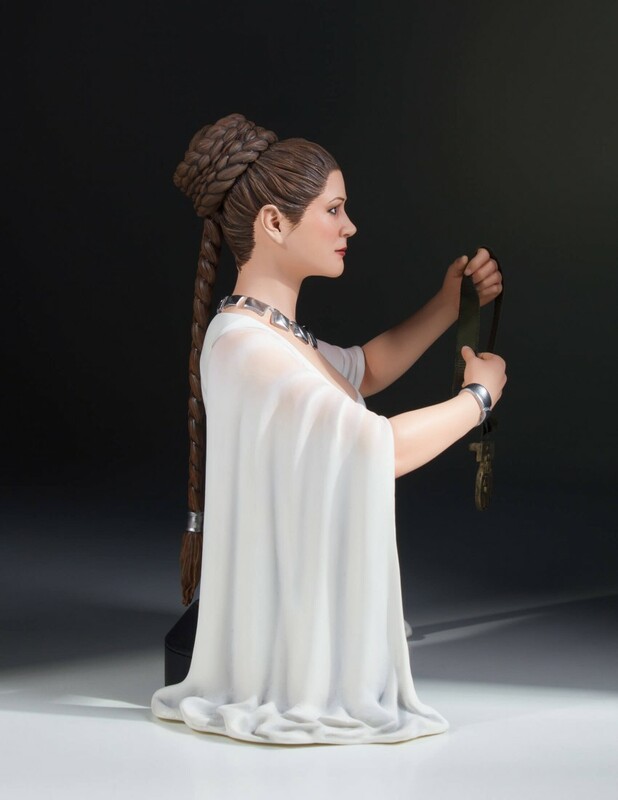 All of the pieces in this series are individually numbered and paired with a matching certificate of authenticity. 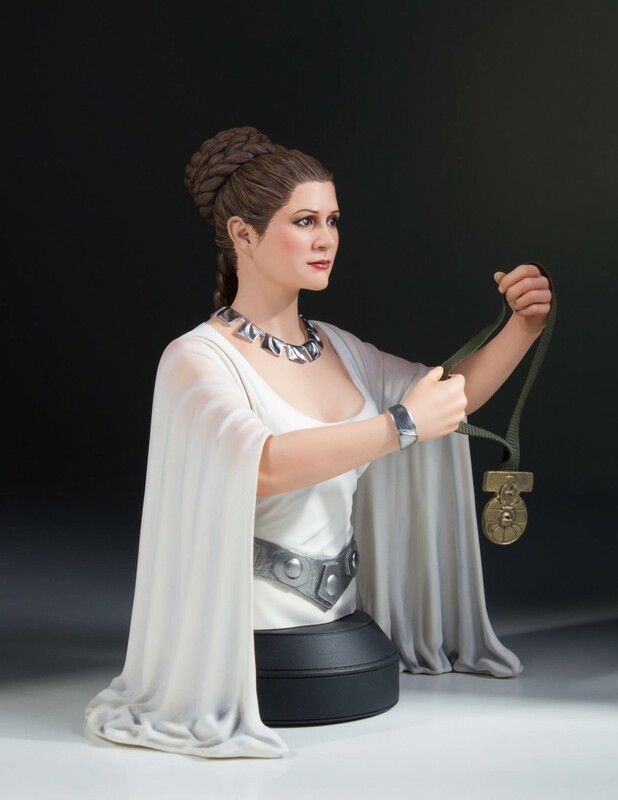 The likeness is not there for this one.